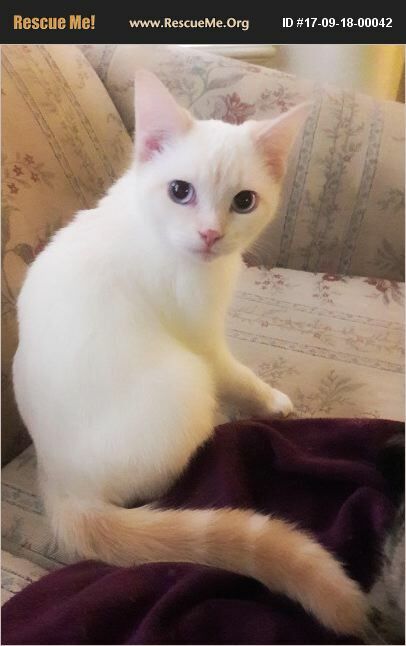 20 week old male that is Siamese and Persian mix. Baby blue eyes with silky soft fur that is white colored with caramel markings on ears, nose, face, and tail. Litter trained. Eats moist and dry cat food without any difficulty. Is shy of strangers only. Like his siblings, loves attention as he is used to getting it along with cuddles and kisses. Indoor cat only. Must be able to travel to my home to adopt. If traveling a long distance will waive adoption fee. If you are seriously interested in adopting him, please contact me as soon as possible.